The purpose of this website is to provide some easy drawing pictures for your to practice. 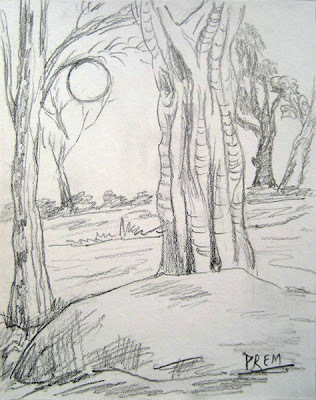 Therefore, I am up with some really easy sketches of trees, which you can try to draw yourself and practice. 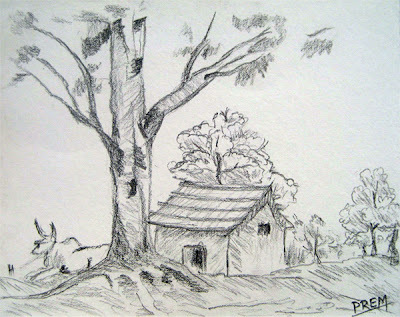 The first sketch consists of a beautiful tree in a beautiful setting. 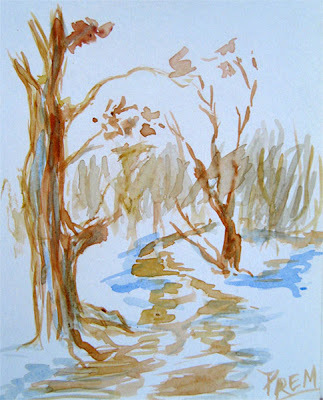 When you try to draw this sketch, wonder about how the simple shady lines provide good effect of leaves and branches. The second sketch consists of a large tree with some textures in it. Pay attention to draw the details in its stem which is also known as trunk. Similarly, the third sketch is really simple. 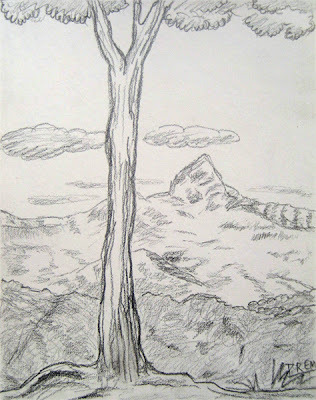 A single tree with a mountain in the background. Shade slightly in the place that is distant from the viewer and put dark shades on the objects which appear to be near the viewer. Do not draw anything as a straight line. Always make curves and bending lines. Do not draw the tree symmetrical, i.e., having both equal or similar branches and leaves in both sides. Avoid monotony by using various strokes and vary tone by using the pencils of different intensity, such as 2B, 4B, 6B, etc. It's a rough quick watercolor sketch.